A young man living in New York City, a woman traveling to Scotland, a cowboy out on the range, a fisherman at sea. The importance of setting cannot be stressed enough. Have you ever been to a play that featured wonderful performers and dialogue, but the backdrop was just terrible and didn’t make sense? It’s distracting and ruins the whole story if the setting isn’t right. There are several ways that setting can be addressed. Before you begin to delve into the details, think through the obvious. What do you want to portray and how are you going to portray it? How much time do you spend on location descriptions and how does it impact the story? Is the setting of your story the main focal point? 1. Live in your location. This is the ultimate research. Actually living in a place gives an insight unavailable through other research methods. Living in the place you are going to write about gives you day in/day out scenery descriptions, character references, and weather detail that is hard to replicate using any other research technique. 2. Visit your location. So you don’t live in New York City, but you want to write a story about it? The next best thing to actually living somewhere is to visit the place. The sights, smells, and lifestyle are usually not like you imagine them to be. I know when I traveled to foreign countries; I had a version of the places I visited already built in my head. It turned out to be quite different from my preconceived notions. Despite the research I did on Ireland, if I had been asked to write about it before I saw it in person, I wouldn’t have been accurate. Never underestimate the value of small, daily happenings in your story. 3. Research your location. So you don’t live there and you can’t afford to visit. You must research, research, research. Realize that as much as you do, if you ever get the chance to visit, you may find that there are a few things that you missed or misrepresented in your story. I want to write a book based in Scotland, but I’m holding off on writing it until I can afford to go. I have other ideas with local settings that I can focus on now. This may not be an option for you. If that is the case, go above and beyond in your research. One example of this is to contact a local book club in the area that you are interested in writing about and ask them if you can interview or fact check with them. I’m sure that most would be more than willing to comply. 1. Consider the time frame of your story. If your story takes place in 17th century France, you may feel tempted to skip the tip on living in your location, but don’t move on too fast. Just because it isn’t the 17th century and time travel has not been invented, doesn’t mean that living in the area you are writing about wouldn’t be beneficial. Old houses and ancient history perfume the air in many historic towns. In addition to inspiration, you may stumble across riches you didn’t even know existed. Your story is going to take a lot of research and the resources available on location may make the difference. However, if you can’t move to France, don’t stress! You can still write an excellent book if you use your imagination. That’s what made you want to become a writer anyway, right? Historical reenactors, professors, non-fiction authors and more can help provide you with the information you need. 2. Talk to people who live(d) there. How did farmers in the south make it through the Great Depression? Ask them! A goldmine of information and life experiences passes away each day in the hospitals and nursing homes of this country. We are sharing the world with people who saw and experienced great changes firsthand, but every day we lose a few more. Just think of the stories that go untold and are silenced forever without expression and seize the opportunity we still have to pass these tales on. You couldn’t ask for a better research partner than someone who lived it. 3. Do not underestimate your own history. You’ve always wanted to write a book about England, but you grew up in Chicago. Write a book about England! That’s what you want to do, but don’t forget that Chicago has its qualities, too. It’s a great exercise, especially with short stories, to change the settings while using the same characters and storyline. It makes your description of locations the main focus and strengthens your writing skills. You may also end up seeing your own hometown through different eyes if you give it a chance and have a great short story to boot. Location not only gives your characters a home, it gives your readers a home. Don’t let your setting fade into the background and become a place that fades away with time. Create your world in a fashion that people won’t easily forget. If you make it so they leave a home and friends when they close your book, they will eagerly return for more. Which books featured settings that stuck with you? What is your dream location for a book? What’s holding you back from writing about it? Price McNaughton was born and raised in a small town in Tennessee. A childhood steeped in the stories and legends of her ancestors as well as the southern way of life led her to carry on the tradition and become a storyteller herself. After years of traveling and working at a variety of jobs, she has finally returned to her roots and devoted herself to writing. She is the author of A Vision of Murder and Murder is Ugly as well as The Ruby Necklace (a mini-mystery). 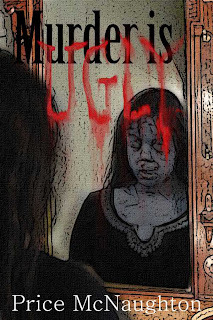 Murder is Ugly: When Jinx Delaney agrees to spend a horse-filled, relaxing summer with her old friend and sorority sister, Brynn Brookefield, in her exclusive community, she never suspects that murder will be the second house guest. 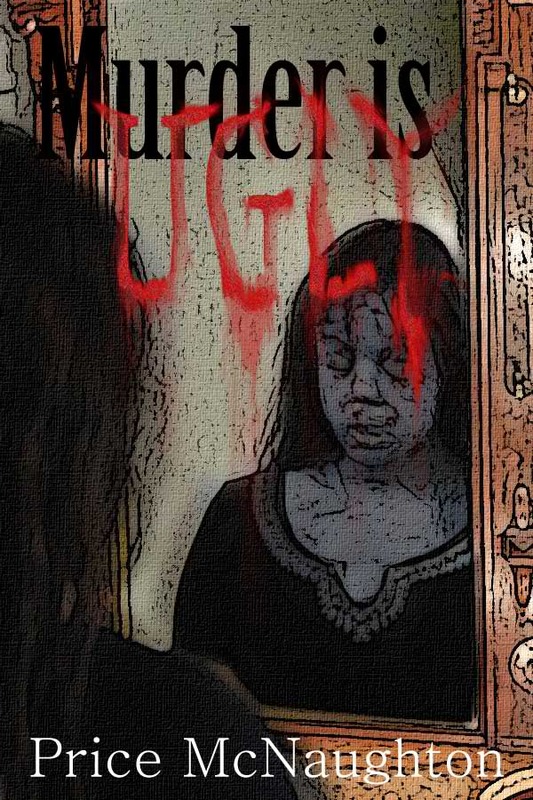 Set in a beautiful neighborhood in the Deep South among carefully restored, historic homes and nosy neighbors, Jinx finds that looks can be deceiving and murder truly is ugly.